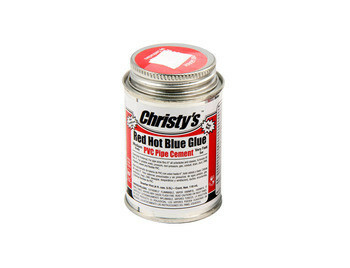 Christy's Red Hot And Blue Glue is a combination of glue and primer meant for flexible PVC. Christy's Red Hot And Blue Glue is the first of its kind. It is the first all-weather, wet or dry cement. The product is created by Aquascape. The products weight is 0.4lbs (118mL).